Battletech is kinda like Transformers right? Battletech is kinda like Transformers ?! Thank you. 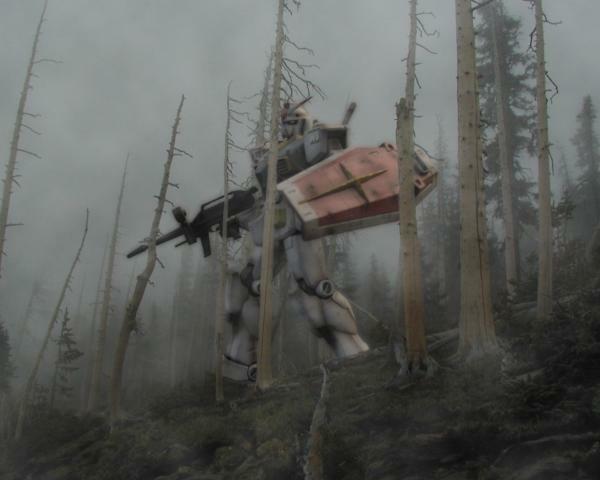 I was about to lay down some hurt…..
That’s also Gundam, not Battletech. Yeah, no mech worth it’s Ferrofibrous would ever carry a shield. Plus the current rage is all reverse bent-leg Clan crap. Gundam and Robotech inspired Battletech designs all got dumped years ago, unfortunately. i could accept that being mistaken for Robotech (though its way too huge), but MechWarrior? c’mon tiki! know your battlesuits! also, as any half-decent ‘mech pilot knows, the reverse bent-leg design allows for medium and large clanner ‘mechs to run circles around those InnerSphere assault ‘mechs. Blah blah blah, More images like this one! I would like to see some Battletech images of this nature. Why does something that big need a gun?